Are you on the prowl for a great deal on a Mitsubishi auto lease? Stop searching now and come check out Jersey City Car Leasing for all your Mitsubishi needs! Our game-changing online leasing system allows us to eliminate excessive overhead costs in ways that other agencies can’t, and this means that we have the best prices in all of the five boroughs, guaranteed! 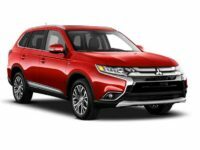 If we’re being honest, there’s nobody who can top our amazing selection of Mitsubishi and other automobiles, including models like the Lancer, the Mirage G4 and the Outlander Crossover SUV! These and other options are in stock and available in every variety and with a plethora of options to choose from! There’s never been an agency quite like Jersey City Car Leasing before. We are trailblazers in terms of low monthly rates, unparalleled Mitsubishi selection, and of course, incredible convenience! It’s so simple to get an auto lease from us, you’ll wonder why you ever considered any other agent! 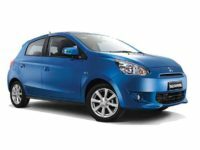 You can easily obtain a Mitsubishi automobile lease from us without ever leaving the comfort of your home. Right from your computer you are able to complete the selection of the vehicle, the application, financing arrangements and contract acceptance, and delivery address specification. The good news is that at every turn our staff of knowledgeable sales professionals is there to guide you through the process and get out of your way when you don’t need them! You’ll never have to inconvenience yourself with a trip out to an oversized car lot, and you’ll never be harassed by salespeople who just want to raise their commissions for the month, rather than caring about what kind of car you actually are looking for! It’s never been easier or more affordable to lease an auto, so give us a call today at 201-649-5111, or get started immediately by browsing the Mitsubishi page of our online showroom! If you’ve ever been in the car leasing game before, you probably remember how frustrating and inconvenient the process has the potential to be. You’ve got to take a timely trip out to an agent’s car lot just to look at a limited selection of cars. The entire time you’ll be pestered by a roving band of salespeople trying to pressure you into leasing a car you don’t really want but which puts more money in their pockets in fat commissions. Then you’ll have to spend a ridiculous amount of time in their stuffy office filling out paperwork and hoping that you can get a decent financing arrangement. All of this can be avoided if you come to Jersey City Car Leasing! Our car lot is our website, and our whole selection of vehicles — from the Outlander Sport Crossover SUV, the Lancer Evolution, the i-MiEV electric vehicle, and many other models besides — are there for your perusal! It’s so easy to get an auto lease from Jersey City Car Leasing, you’ll wonder why you thought to go anywhere else! 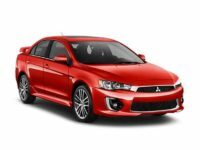 Call us for a quote on the Mitsubishi auto lease you want, or browse through our online showroom right now!